QDC packages have multiple advantages. QDC reduces the overall time taken in die changeovers, achieving consistent clamping pressures, allowing easy tool movement away from the press bolster and presentation to lifting equipment on the Bolster Extension Arms. 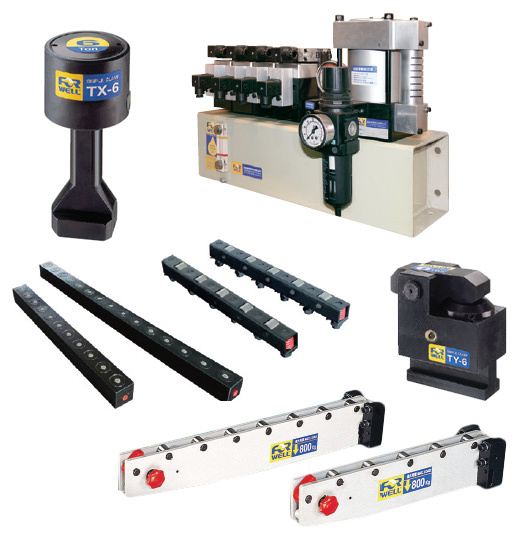 Forwell’s Quick Die Change System is an automatic die changing system that can be specifically designed for hydraulic and mechanical power presses. The system automates the die changing process and provides increased speed, efficiency and productivity to a workshop. The Quick Die Change System not only reduces die change time, but also promotes diverse small batch production runs and streamlines production management. Reduce risk of tool damage and the physical stress on operators making them more productive. Dies can be changed without packers and adjustments by the use of standardised die clamping heights, further saving time and cost.